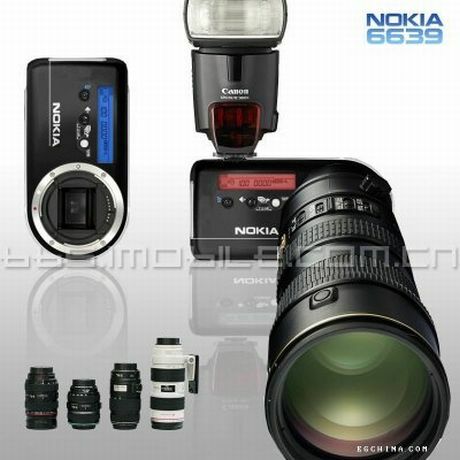 It features a Swiss army knife, a zippo lighter and a digital SLR camera (double digit megapixels) plus Photoshop. Notice that ton of brands in the picture above. 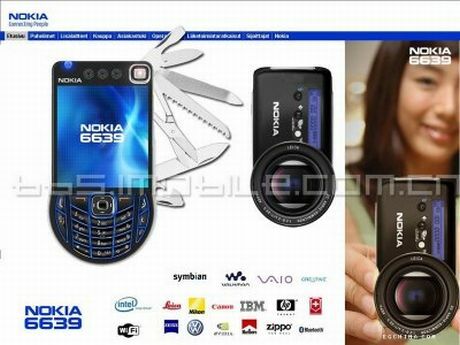 Imagine Sony Ericsson and Nokia working on the same device… I can pretty much imagine what each company contributed to the Nokia 6639 cameraphone, but what’s Volkswagen doing there?